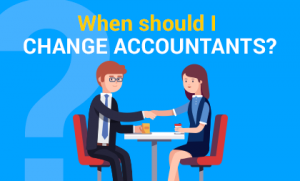 Here, Kim Marlor talks about when you should change accountants….it’s a lot sooner than most people do! Life is too short to be dealing with businesses that are not adding value and helping you have the business and life style you really want. If you are thinking it’s time to see what other Accountants offer and could do for my business, then we think it’s time we spoke. After all you don’t know, what you don’t know and a quick meeting could just change your fortunes. This entry was posted on Friday, December 29th, 2017 at 11:34 am and is filed under Knowledge Centre. You can follow any responses to this entry through the RSS 2.0 feed. Both comments and pings are currently closed.